Birmingham Business Executive Alan Register to Chair 2018 United Way Campaign – United Way of Central Alabama, Inc.
BIRMINGHAM, Ala. – March 15, 2018 – United Way of Central Alabama on Monday announced Alan Register, Executive Vice President at Regions Bank, will serve as chairman of the 2018 United Way of Central Alabama campaign. 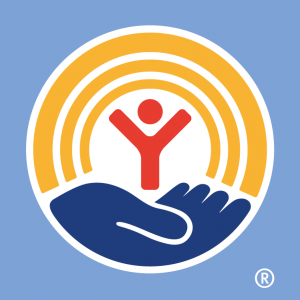 The campaign is vital to people and families across Central Alabama who receive essential services delivered by United Way and its 80 partner agencies and initiatives. During the campaign, people and businesses make contributions that, in turn, allow each agency to carry out its mission. Those missions range from meal delivery for homebound seniors, to offering stable housing for veterans, providing shelter for abused women and children, connecting at-risk children with mentors, providing job training to people with disabilities, offering financial education to help people improve their finances, and much more. Alan Register spends a morning working with the Meals On Wheels kitchen staff, where food is prepared for deliveries each weekday. Register began his chairmanship by personally delivering meals to homebound seniors through United Way’s Meals on Wheels program. 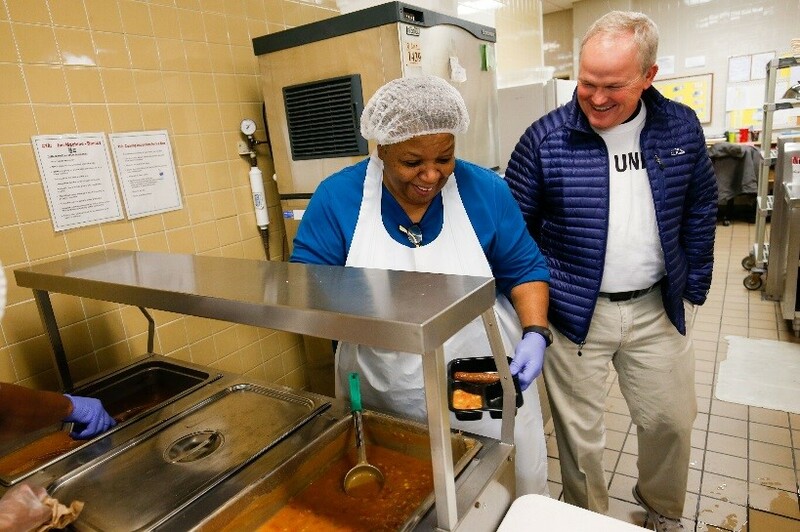 Joined by his wife, Karen, Register visited people throughout Birmingham’s Kingston neighborhood and delivered not only a warm, nutritious meal – but also a warm, friendly smile. Each Meals on Wheels client has a unique story. Each was grateful to receive the food. More than that, each was grateful that a member of the community took time to pay them a visit, listen to their stories and provide both the compassion and companionship that, in turn, make each day brighter. 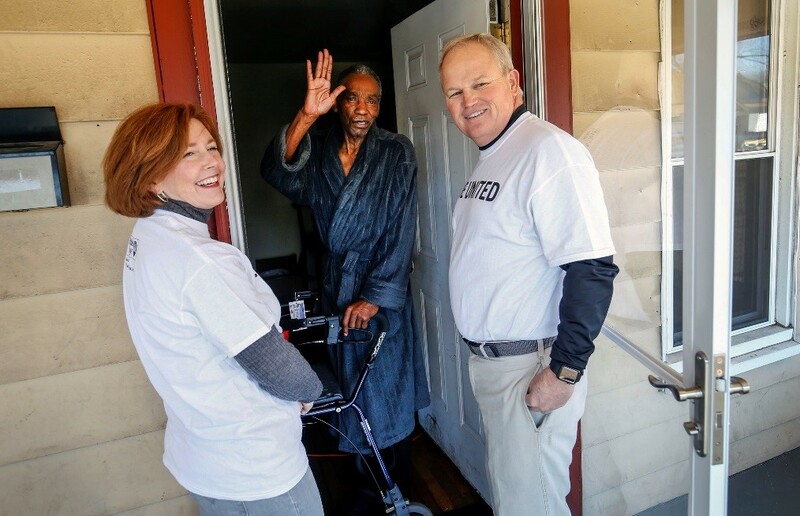 Alan and Karen Register visit with Ronnie Bryant of Birmingham while delivering a meal to his home on Thursday, March 8, 2018. “We’re going to deliver 700 meals today. And this happens five days a week with over 500 volunteers,” Register pointed out, referencing the army of volunteers and support workers needed to reach people who depend on the program. And he made it clear, it’s not only Meals on Wheels clients who benefit. The people who donate, volunteer and serve see a tremendous benefit, too. Serving as campaign chairman is a natural extension of Register’s long-term involvement with United Way. He has a history of volunteer support in the community, and throughout 2018, he is determined to help United Way increase its reach in the lives of others while delivering important, sustainable services for people from a wide variety of backgrounds, all across the region. The United Way campaign will begin on May 31 with the annual Pacesetter Kickoff, and the general campaign kickoff is scheduled for September 6.